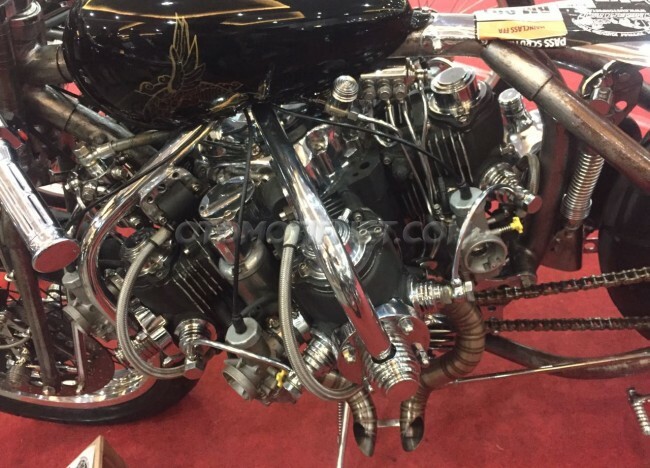 In the Kustomfest 2016, one of the famous annual automotive modification contests in Indonesia, we can find hundreds of unique motorcycles and cars coming from various regions in Indonesia. 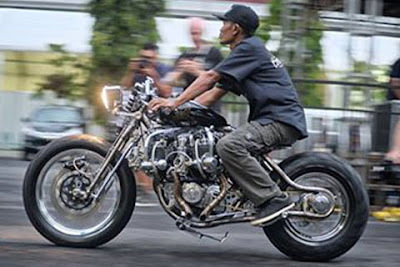 One is a modified motorcycle called 'Naga Lima,' or Five Dragons. 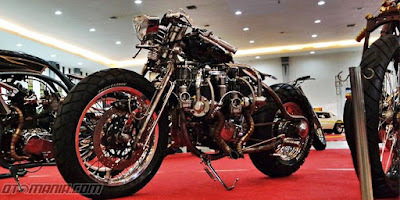 The unique motorcycle was the work of PsychoEngine, a Purwokerto (Purbalingga)-based workshop got a lot of attention from visitors and the competition juror. Many people wondered if this bike is really able to function properly. 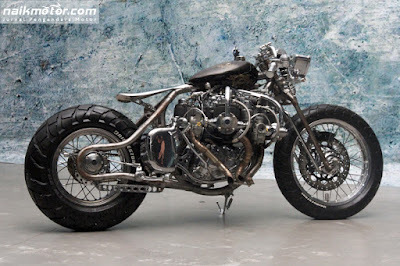 At glance, this bike is performing so unique and its modification style reflects the builder thinking is out of the box. How not, on this motorcycle pinned five cylinders radial engine at a time. Interestingly, the motorcycle was functioning well. 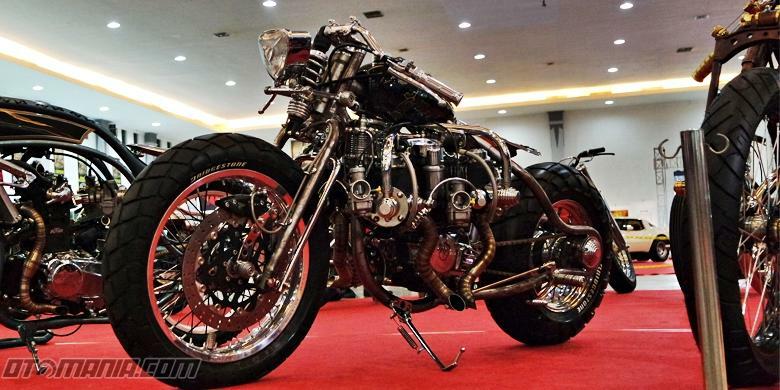 The motorbike built by took the base of 2002 Honda Tiger with multi wet transmission system. 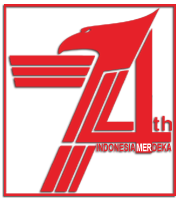 According to M. Jusuf Adib Mustofa workshop owner, he working on the motorcycle engine took a fairly long time, ie two years. Once done with the machine, then he continued with the motorcycle frames, which took almost two months. As a result, the appearance of a muscular motorcycle figure with the exhaust pipes look stretched along the body. 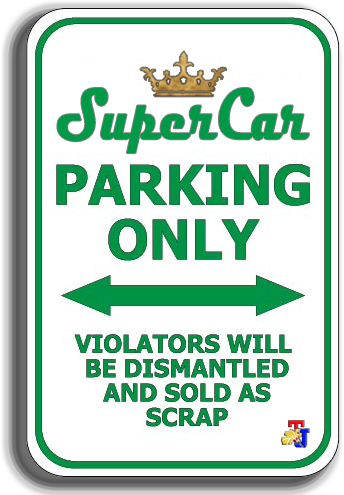 Aesthetically also appealing, the engine is mated to the rigid frame and springer front suspension. While the unfinish color combination on the frame, some parts chromated and dark colors adopted on the fuel tank made it appear attractive. Well, the hard work of the builder paid off after the juror stated that Naga Lima was crowned as Best of the Best Kustomfest 2016. If you want to know more about the PsychoEngine workshop, just make a simple click here!